Dutch rescuer Marion Pritchard poses with the Jewish infant, Erica Pollak, whom she was hiding. The death toll exacted by the Nazi regime on the Jewish children of Europe is one of the most appalling chapters in the history of the Holocaust. The Nazis targeted all Jews for death, but the mortality rate for children was especially high. Only 6 to 11% of Europe’s prewar Jewish population of children survived as compared with 33% of the adults. Among the small number of European Jewish children still alive at the end of the Holocaust, thousands had survived because they were hidden. With identities disguised, and often physically concealed from the outside world, these youngsters faced constant fear, dilemmas, and danger. These hidden children faced a variety of difficult circumstances. Many parents sent their children into hiding with Christian families or religious institutions where they hoped the child could pass as “Aryan,” others hid in attics or cellars with the constant threat of discovery by the authorities, and some were lucky enough to have false papers that eased their way into Gentile society. In hiding, these children faced obstacles such as being forced to hide physical characteristics, learning new languages and customs, or adopting a new name or identity. Even then, some children were moved from hiding place to hiding place, sometimes living for months or years in cramped spaces such as closets, attics, cellars, or even sewers. Others, left abandoned, were forced to rely on their own resourcefulness in order to survive. For many of those lucky enough to be sheltered by religious institutions or adopted by Gentile families, survival often came at the cost of their true identity. At the end of the war, many children were never told of their previous lives and prior identities, hindering attempts to reunite them with adult members of their birth families. Many adult survivors after fruitless searching were never able to relocate their children. Even those children reunited with their families often bore psychological scars imparted from traumatic wartime experiences and perceived abandonment by their parents. The following bibliography was compiled to guide readers to selected materials on hidden children during the Holocaust that are in the Library’s collection. It is not meant to be exhaustive. Annotations are provided to help the user determine the item’s focus, and call numbers for the Museum’s Library are given in parentheses following each citation. Those unable to visit might be able to find these works in a nearby public library or acquire them through interlibrary loan. Follow the “Find in a library near you” link in each citation and enter your zip code at the Open WorldCat search screen. The results of that search indicate all libraries in your area that own that particular title. Talk to your local librarian for assistance. 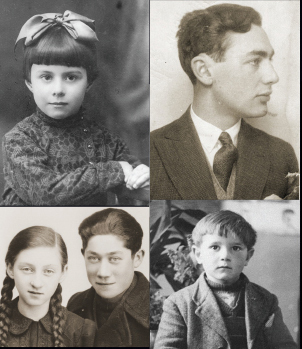 Draws on oral histories, archival records, letters and diaries to analyze the circumstances, activities, and perceptions of Jewish children in Nazi Europe. Chronicles children’s lives before the war, the various camp, ghetto and hiding experiences they faced, and the challenge of life for child survivors in 1945 Europe. Includes many photographs, a bibliography, glossary, map and an index. Chronological history of the efforts by four Dutch resistance groups to hide Jewish children in orphanages or smuggle them to safety. Offers statistical analysis of these rescue attempts as well as a “who’s who” listing of rescuers in the Netherlands. Presents the story of Le Chambon sur Lignon, a town in southern France whose residents worked together to save three to five thousand Jews, many of them children, by hiding them in children’s homes, public institutions, and outlying farms. Identifies those who organized and led the rescue efforts and explores the religious spirit that motivated them. Includes eighteen black-and-white images, a short list of sources, and an index. Reviews the history of Jewish children during the Holocaust with an emphasis on the tragic fate of many in the concentration camps and ghettos and the more fortunate among their generation who survived in hiding. Includes an estimate for the number of child victims in the Holocaust and photographs of children in camps and ghettos. Describes the rescue movement whereby Jewish children, some smuggled out of ghettos and others brought by their desperate parents, found refuge with the nuns who ran convents across Nazi-occupied Poland. Features an introduction by Jan Karski, interviews with rescuer nuns and child survivors, a listing of women’s religious orders and their locations in Poland, a glossary, and a bibliography. Compares the experiences of and harsh circumstances faced by hidden children in Poland in relation to the circumstances faced by hidden children in other parts of Nazi-occupied Europe. Based on research gathered by the author as director of Yad Vashem’s Department of the Righteous. Includes bibliographic references. Contains a general account of child rescue in the Holocaust emphasizing prewar emigration efforts and wartime organized smuggling and hiding of children. Analyzes in particular the wartime rescue efforts in France and Poland. Presents accounts of Jewish children hidden in convents who survived the Holocaust in Belgium and the nuns who cared for them. Includes a list of Belgian nuns that received the title Righteous Among the Nations, endnotes, photographs, a bibliography, and an index. Presents the accounts of thirty child survivors who escaped the fate of other Hungarian Jews by hiding during the Holocaust. Includes pictures and a glossary. Presents an account of the author’s life in hiding during the Holocaust, his eventual reunion with his mother postwar, his belated Bar Mitzvah, and eventual immigration to the United States. Provides the story of Lore Baer who, as a four-year-old Jewish child, was placed with a Christian family in the Dutch farm country to avoid the Holocaust. Includes illustrations. Intended for younger readers. Recounts the experiences of a Jewish teenager who with the help of false papers and family friends passed as Gentile in wartime Poland. Relates the author’s attempt at “hiding” as an ethnic Pole including a stint at forced labor in a camp at Braunschweig, Germany. Includes a collection of family photographs. Describes the author’s experiences growing up hidden by devout Protestants in the town of Charleroi, Belgium, during the war. Chronicles his life after the war and the culture clash he suffers as he tries to return to life as a Yiddish-speaking Jew. Relates the story of Regine Miller, hidden by her parents after her brother was arrested by German soldiers. Explains how the Belgian resistance movement, Solidarite, later reunites her with her extended family after the war. A memoir that describes the author’s experiences as a young child smuggled out of a concentration camp in Nazi-occupied France. Details the author’s reunion with his sister, and their father, an Auschwitz survivor, in 1946. Narrates Hartz’s early childhood story, including being hidden amongst French Gentiles, and her experience adopting a new identity, only later rediscovering her Jewish roots. Contains a forward written by Hartz. Relates the experiences of thirteen Jewish hidden children who survived, and came forward to tell their stories. Includes pictures, quotations, and a bibliography. Intended for younger readers. Provides the author’s account of her survival through Kristallnacht, resettlement in the Netherlands, her family’s deportation, and three years of hiding. Includes photo collages. Intended for younger readers. Relates the author’s experiences as a hidden child in France, and how after the war the family that hid him are honored as Righteous Gentiles. Provides the author’s account of his life as a nine-year-old Jewish orphan on the run in the Nazi-occupied territories of Eastern Poland. Details, in their own words, the war-time experiences of Jewish teenagers hiding from the Nazis. Includes a bibliography, glossary and an extensive timeline of events. Intended for young adult readers. Presents the stories of twenty-three men and women who survived the Holocaust as children in hiding. Describes the extreme measures they or their families took to survive and how they coped under circumstances of great danger and sacrifice. Also examines their post-war experiences, exploring how they dealt with their own survival and rebuilt their lives. Chronicles the author’s life as a hidden child. Includes images of personal documents, such as birth certificates, passports, and marriage licenses. Recounts the author’s experiences hiding with her mother in a village near Lwow, Poland, passing as Christian refugees. Chronicles her father’s arrival, after escaping from a concentration camp, and his hiding in secret for the duration of the war. Provides fourteen first-person accounts of Jewish survivors who were hidden as children from the Nazis. 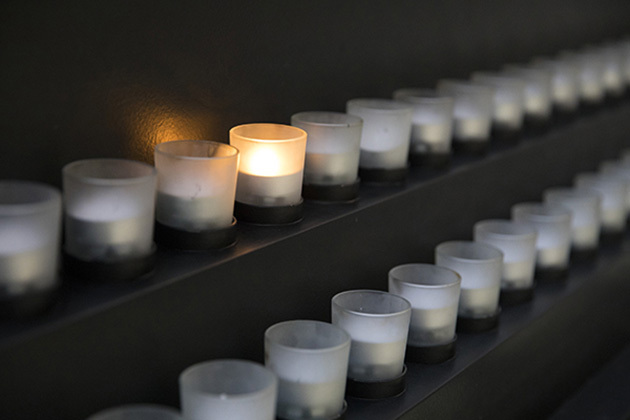 Illuminates each survivor’s life before, during, and after the Holocaust. Includes a brief glossary and a bibliography. Created for juvenile readers. Compiles the first-person accounts of ten hidden children and relates their experiences during and after the war. Explores questions of identity, such as noticeable physical differences between adoptee and new parents and the postwar return to Jewish life. Recalls the author’s experiences being hidden, along with her mother, by a Gentile couple in Lwow, Poland. Includes a collection of her childhood paintings. Intended for a younger audience. Presents individual stories of hidden children from the Czech Republic. Includes endnotes. In both English and Czech. Chronicles the author’s wartime experiences as a child left by her mother for her own safety in a French Catholic convent. Explores the issues encountered by the author as she maintains her false identity for the first thirty years after the outbreak of the war, and the complexities encountered as she rediscovers her Jewish roots. Recounts the experiences of hidden children and Gentile adoptees through the extensive use of narratives and testimonies. Includes a bibliography. A psychological study of the effects of trauma and persecution on a child’s psychic structure and emotional development. Explores the impact of life in the camps and in hiding on children and adolescents, through analysis of more than 1,500 survivor interviews. Presents vignettes and life histories to illustrate points. Includes a lengthy bibliography and an index. Documents the wartime lives and postwar experiences of twenty-four child survivors, many of whom survived in hiding. Based on interviews with the survivors as adults. Includes photographs and bibliographical references. This documentary tells the story of three Jewish children from Bedzin, Poland, who survived the Nazi Holocaust. These women recount their memories of a childhood spent hiding from the Nazis and reflect on those individuals and families who helped them survive. Archival film and photos interspersed with the interviews document the period. Documents a lecture by Ruth Kapp Hartz, who survived the Holocaust in France as a hidden child, and Stacey Cretzmeyer, author of a book based on Hartz’s experiences, in which they discuss their collaboration and read selections from the book. Includes reflections by high school students on the impact of the Holocaust on their world views and the importance of finding new ways to teach the lessons of the Holocaust. Oscar-nominated feature film about the true story of a Jewish teenager, Solomon Perel, who survived World War II by living as both a Hitler Youth and a Soviet refugee for seven years. Shows the similarities of Nazi and Soviet techniques of indoctrinating youth, and the dual hardship suffered under either regime. Focuses on five Jewish war orphans, hidden in Christian foster homes, how they survived the war and returned to their roots later in life. Dutch with English subtitles. Based on the director’s life, this film drama chronicles Malle’s experiences in a Catholic boarding school in Nazi-occupied France. Twelve-year old Malle befriends a new student whose true identity as a hidden Jew is revealed to no one. French with English subtitles. This online component to the Museum’s Special 10th Anniversary Exhibition explores the history of children who went underground to escape Nazi persecution and destruction. Relates stories of desperation, tragedy, courage, love, and survival in the darkest of times. Includes text and photos from the exhibit. Presents an online version of the special exhibition concerning this famous French priest, a Carmelite friar, who hid several Jews in his school in Avon, France. Details his persecution and punishment at the hands of the Nazis for his actions. An annotated online bibliography of works concerning Anne Frank, a hidden child in Nazi-occupied Netherlands. Includes editions of her famous diary, biographies of Frank and her family, scholarly evaluations of Anne Frank and her significance in the Holocaust. An annotated online bibliography of works pertaining to children and their experiences within the context of the Holocaust. Details the experiences of child victims and survivors and the actions of the rescue movements that saved children. Also provides information about the conditions faced by children in the camps and ghettos and in hiding.